Do I need a Master Key lock? Sometimes people get confused between keyed alike and masterkey. A set of master key locks all have their own individual keys (2 per lock) and then there is a single masterkey that can open all the locks within that set. A set of keyed alike locks however all use the same key. Every lock is identcial. You can find keyed alike locks by clicking here. 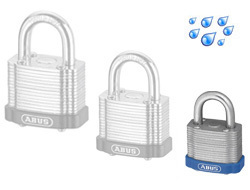 The laminated lock has been around for a while but the ABUS Eterna is the next generation and can't be compared to standard laminated locks by other brands. They are made using plates of special hardened steel and a hardened shackle. Everyone in the industry knows that the steel from ABUS is superior in quality than many counterparts which is why this Eterna lock proves so strong for its size. However, steel can rust which is why ABUS came up with the Eterna finish. 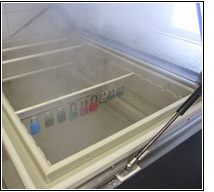 It is a special coat that is twice as effective as chrome plating which almost makes these locks as resilient as stainless steel but much stronger. So happy are we with this lock that we have confidently supplied it to the UK National Grid for their sub stations and also National Rail. In most circumstances no. 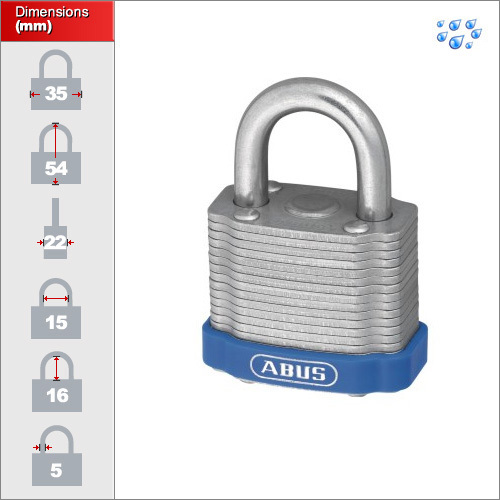 Due to the high differ number in all ABUS locks, even if every padlock was duplicated twice, the likelihood of finding the other padlock in a large set it slim. However, in some situations, especially in small sets it is necessary to guarantee every padlock will be unique. In this case please contact us and we can quote for a special order which the locks can be made up from scratch and recorded. Yes. But since every lock is not recorded we cannot guarantee that the new padlocks will be unique and not duplicate padlocks you already have. Once again, the security risk of duplicates is minimal due to the high number of 'differs' contained within any batch of ABUS locks.